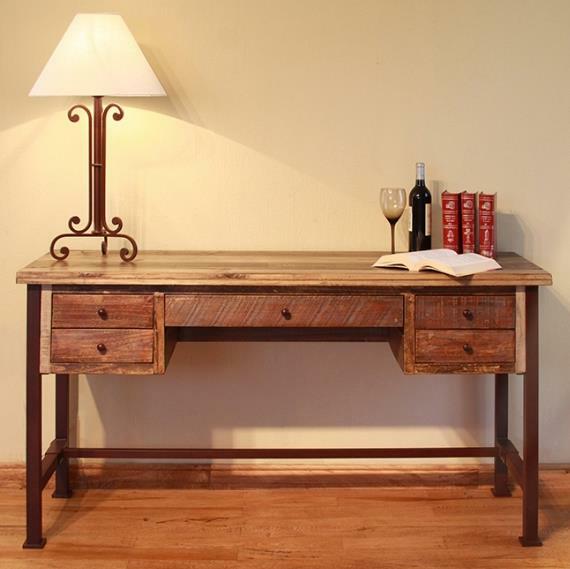 This beautifully rustic desk is the perfect place for you to sit while you write your novel or surf the web. This piece comes equipped with five convenient drawers. The pencil drawer in the middle features a drop-down door and a wire management grommet in the back to accommodate a keyboard. 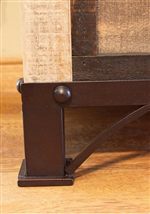 The iron base is hand forged and includes a sturdy bar across the bottom so you can rest your feet while you work. 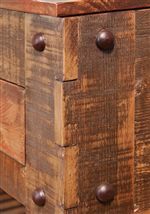 Antique multicolor finish adds the finishing touch to create a reclaimed wood look. 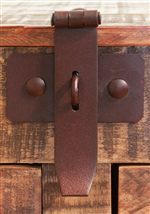 The 900 Antique Antique Multicolor Writing Desk with Hand Forged Iron Base by International Furniture Direct at Miskelly Furniture in the Jackson, Pearl, Madison, Ridgeland, Flowood Mississippi area. Product availability may vary. Contact us for the most current availability on this product.